One of the best parts of my 20s was having the privilege and ability to travel and see the world. I started The Blonde Abroad when I was 24, and having just turned 30 this past year, it’s safe to say I had some of my biggest adventures before hitting the big 3-0! There are SO many amazing, unique and life-changing destinations and experiences around the world that make for some incredible memories. 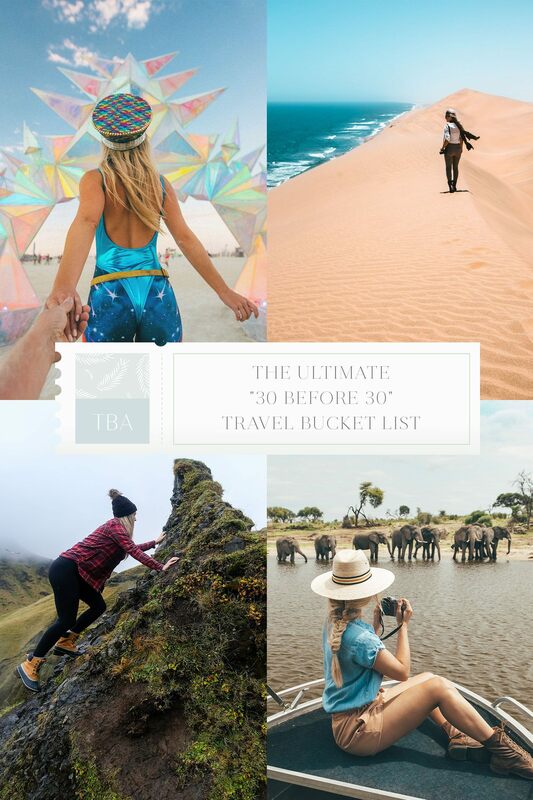 Whether it be an African safari, traveling solo for the first time, an epic road trip, or facing your fear of heights (or the deep sea), there are so many things to add to your “30 Before 30” bucket list. Here’s my “30 Things to Do Before You Turn 30” travel bucket list! There are few things as liberating and exciting as traveling alone. My first solo trip changed my life (it’s when I started this blog), and the experiences it’s given me are priceless. 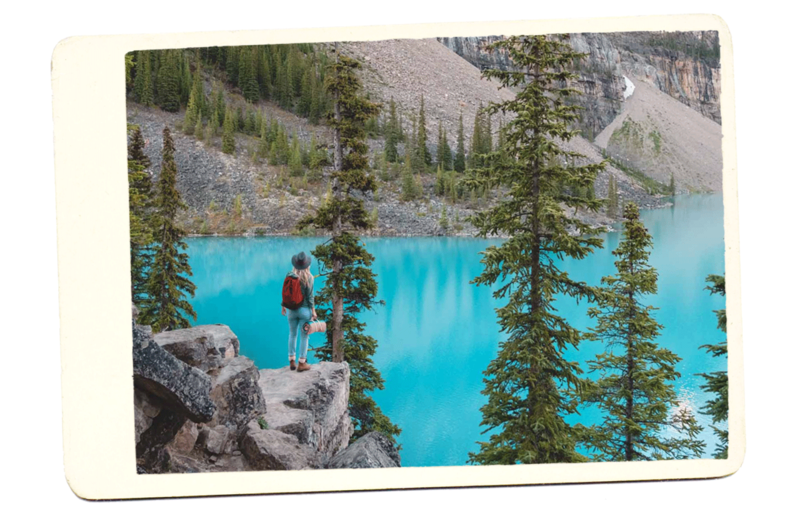 Before you hit the big 3-0, plan a solo trip. You can start with a small road trip in your country or book a ticket to a faraway place you’ve been dreaming of. Whichever you decide, you’ll find that solo travel empowers you. You get to decide what you want to see, when you’re going to see it, if you’re going to sleep in late, where to eat, and so much more! Check out my all of my posts on solo travel! Whenever I travel abroad, I make it a priority to check out the local food and learn how to cook a new cuisine. Over the years, I’ve learned how to whip up traditional dishes from Amman, Chiang Mai, Barcelona, Tokyo, Rome, and New Orleans. Adding a global twist to your cooking repertoire will wow your friends and family, but also transport you back to an incredible trip. During my first trip to Africa in 2016, I fell hard for South Africa and the beauty of the African bush. With stunning landscapes and incredible wildlife, going on safari has quickly become one of my favorite travel experiences. 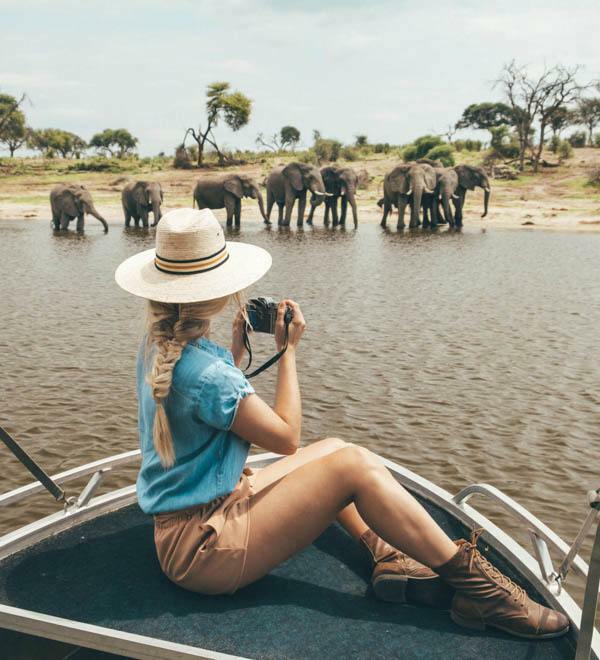 My favorite safari experiences have been in South Africa, Kenya, Namibia, and Botswana so far! 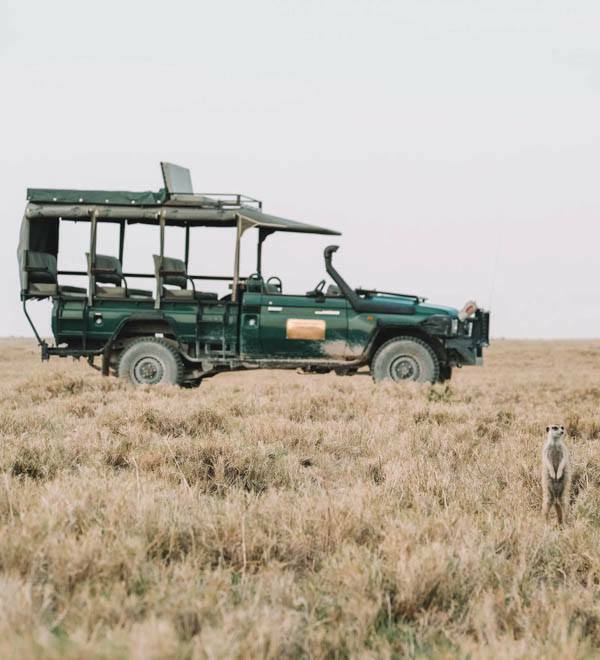 There’s nothing like seeing a cheetah run at full speed over the arid plains of the Masai Mara or waking up at dawn and watching the bush come to life! Staying in hostels and exploring Europe on the cheap is a rite of passage and an amazing travel experience in itself. When I first started my blog, I traveled around Europe with less than $30 per day. 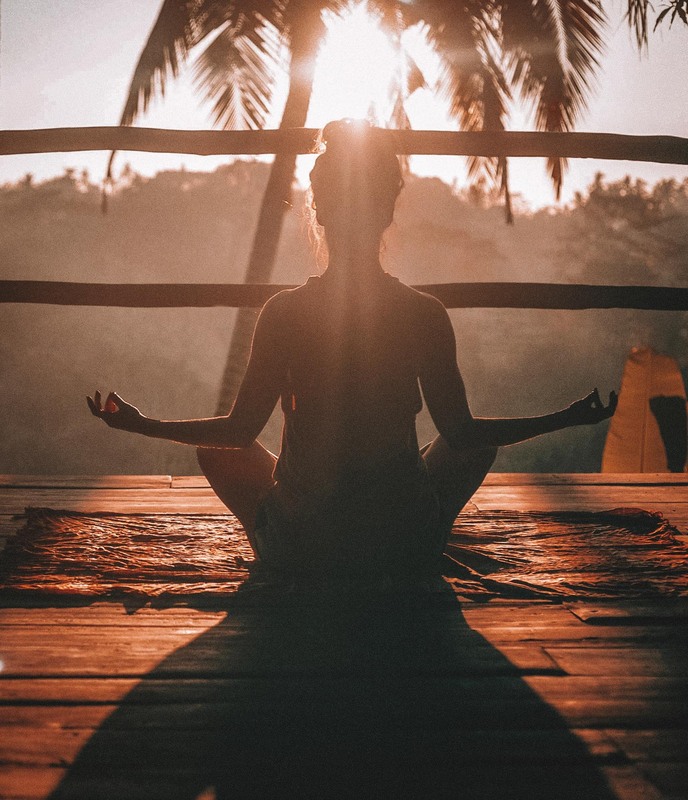 I learned important travel skills, like how to plan and budget for trips, tips for finding cheap flights, and figuring out public transportation in another language all by myself. Since I started dating a South African, I’ve really come to appreciate how fortunate I am to have a first-world passport. I don’t need to apply to Europe, Australia or Canada. More often than not, I get a free visa on arrival, or I pay a small fee. Before entering a whole new decade of your life, travel somewhere that’s not easy. Go to places like Brazil, India, Mozambique or China where you’ll need to visit a consulate beforehand. It will make you appreciate the trip and your passport that much more. There’s nothing like hitting the open road! From the California Coast to Iceland to Namibia, I’ve experienced some unforgettable road trips over the years. The best part? You’re in total control. If Iceland is on your bucket list, I highly recommend taking 7-10 days (or more!) and driving the Ring Road around the island! If you crave desert sunsets and dirt roads, be sure to road trip through Namibia. You don’t have to worry about sticking to a rigid itinerary, making it an empowering travel experience. If you scroll through my Instagram, I might seem fearless on the surface. 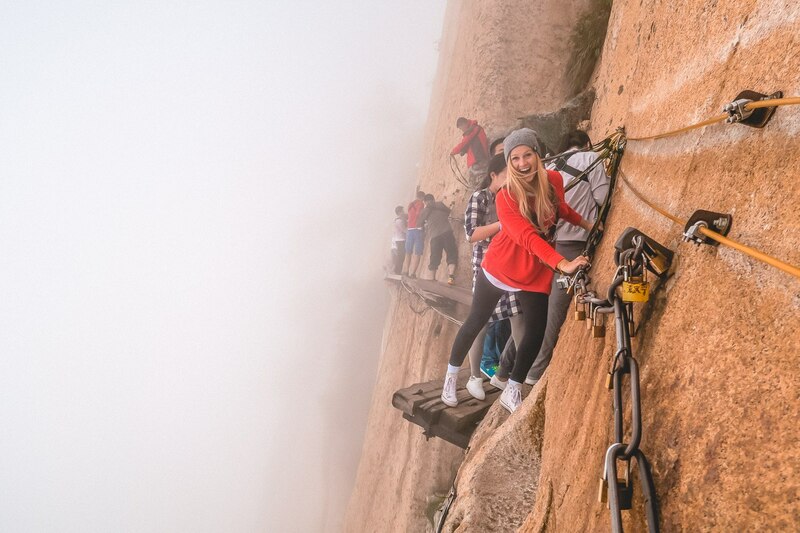 I’ve jumped out of a plane, gone scuba diving around the world and hiked the world’s most dangerous trail in China. But, before I did any of those things, I was terrified. Try doing something that scares you– whether it’s heights, flying or the deep ocean. When you step out of your comfort zone you grow as a person. Curious about how I afford to travel? I signed up for a rewards credit card a few years ago, and it’s changed how I travel! 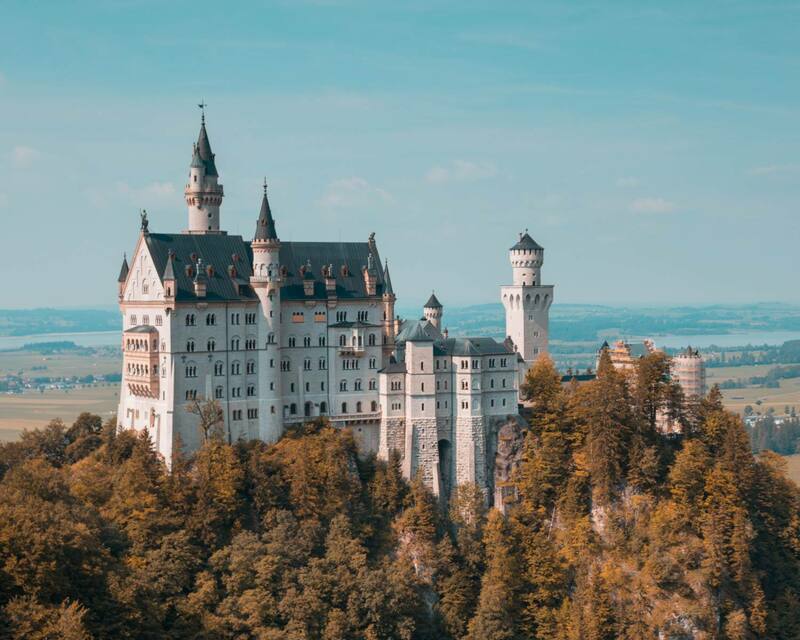 It’s helped me afford bucket list worthy trips, travel more comfortably on long-haul flights and stay in luxury hotel rooms for a fraction of the price. 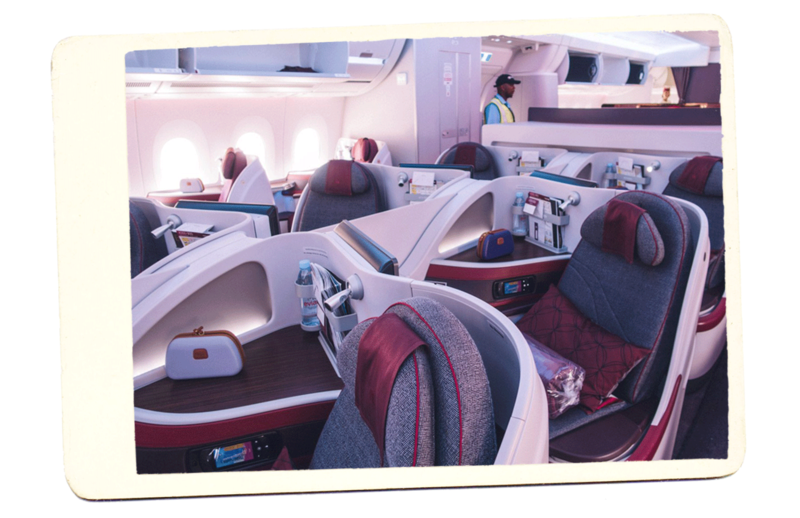 Recently, I’ve started using my miles to upgrade my seat from economy to business class. 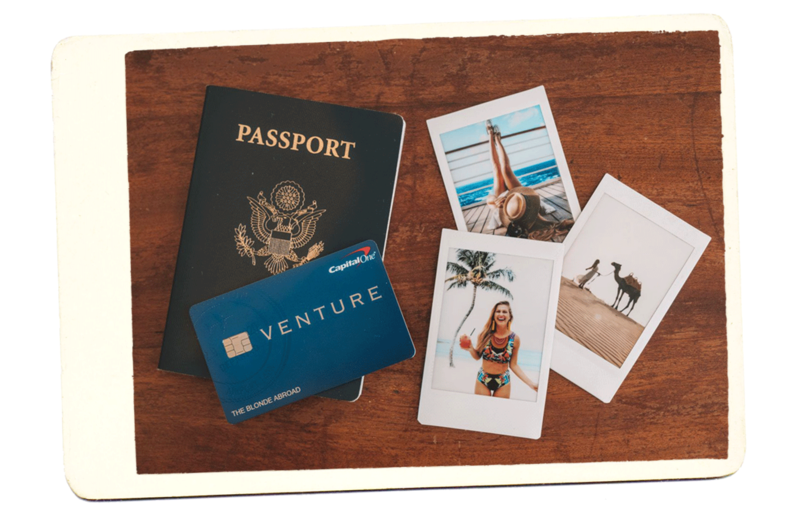 With so many different travel credit card options out there, it’s easy to find one that works for your lifestyle. Plus, many of the sign-up bonuses are super generous, and you’ll be able to afford a trip before you even make your first swipe. I love everything about scuba diving! I got my PADI Open Water certification in Panama, I completed my Advanced Open Water in Mexico and received my Nitrox certification in French Polynesia. Fast forward a few years, and I’ve dived in over 12 countries! 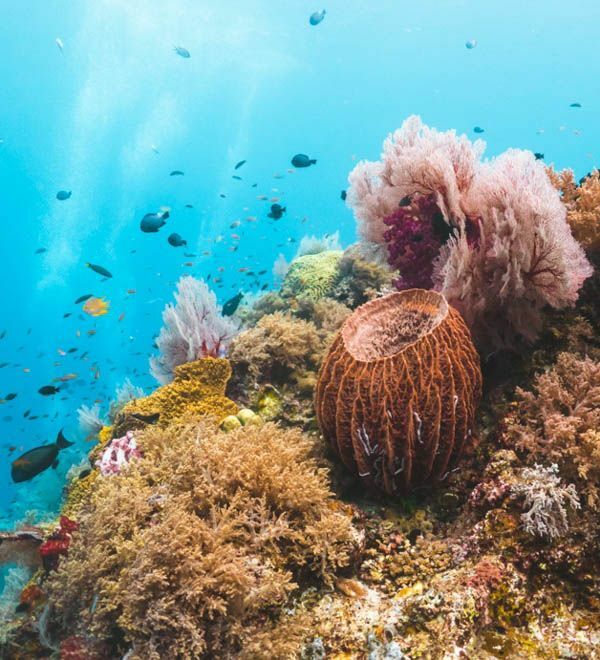 With more than 71% of the Earth covered by water, there’s so much to discover beneath our oceans. 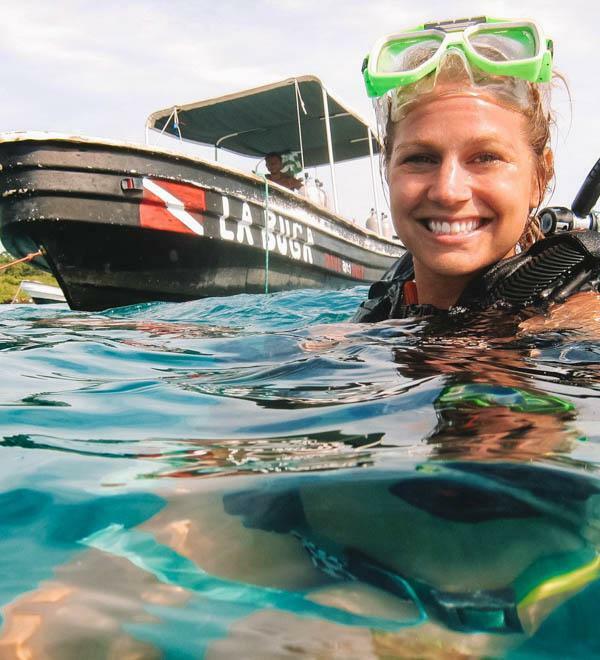 Gift yourself with a PADI certification and open yourself up to how beautiful life “unda da sea” truly is! Check out all of my posts on scuba diving! Want to stay on the road for longer? Get a job that will let you live abroad! You can get your TEFL qualification and teach English in destinations like China, Thailand or Cambodia. But if the classroom life is not for you, there are tons of other career options. You can become a bar crawl leader, work in a hostel or a tour guide for companies like Contiki or G Adventures. Once you’ve saved up your miles with your travel credit card, splurge on a long-haul business class flight. You’ll get delicious food, more than enough legroom and high-class service. 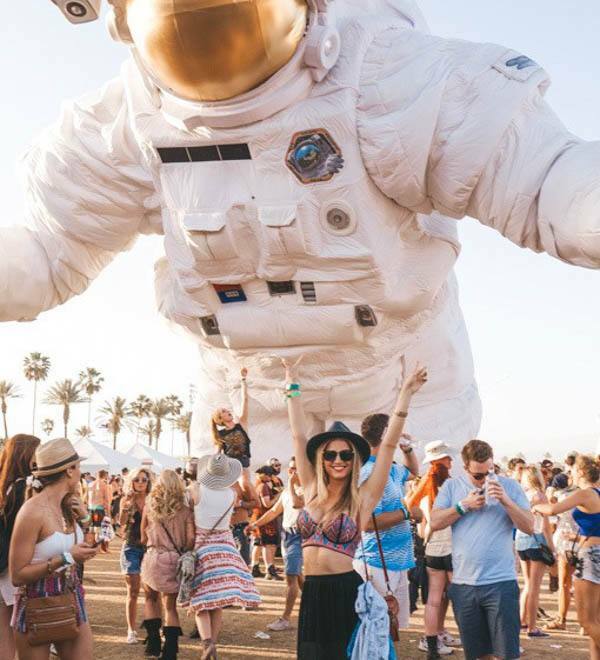 I love attending music festivals around the world! 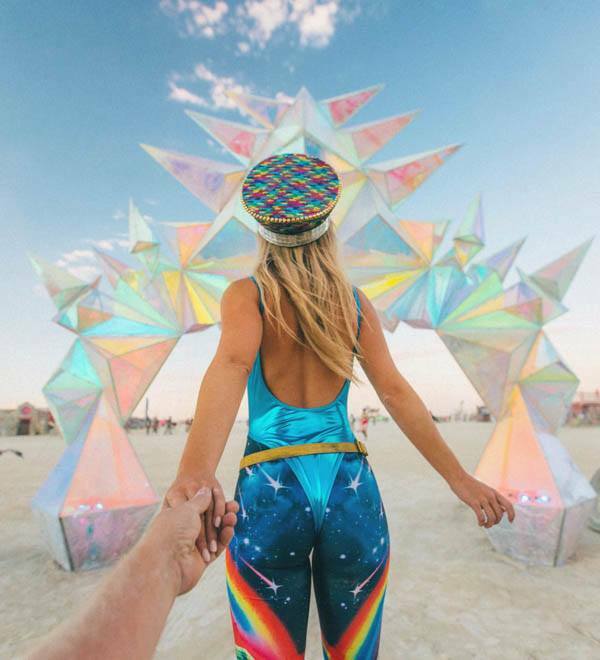 Over the years, I’ve danced my heart out in the Karoo Desert at AfrikaBurn, attended Tomorrowland in Belgium and went to big festivals in the US like Coachella. As a native Californian, I grew up spending my summers outdoors with my family. 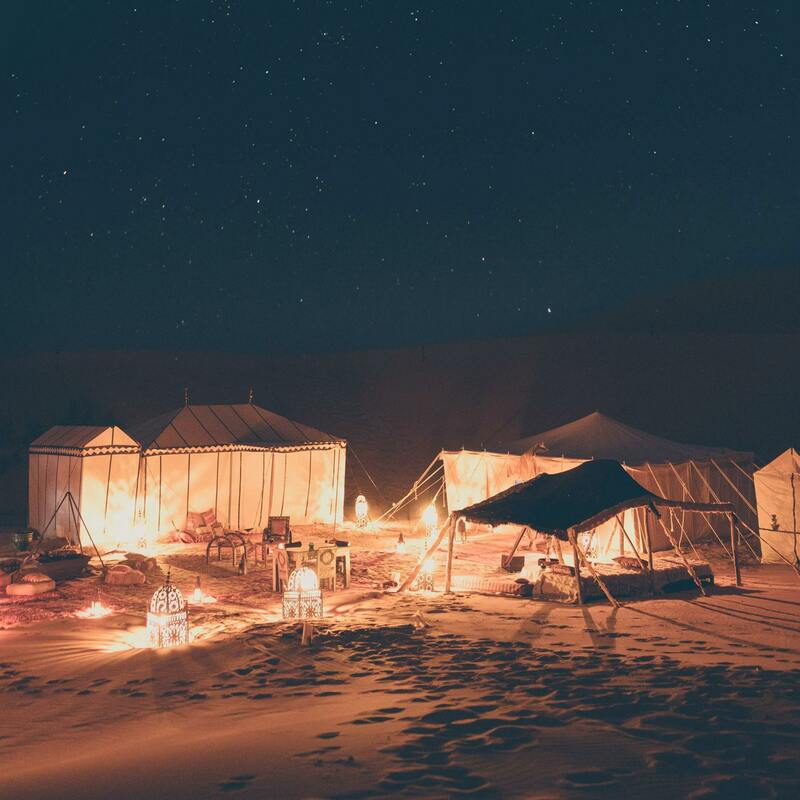 We organized trips to some of the states most beautiful camping sites on the beach, in the middle of the forest and out in the desert. Use your camping trip as an opportunity to disconnect from the online world for a weekend. Swap the buzzing of your phone for complete silence as you gaze up at the stars and roast marshmallows by the campfire. 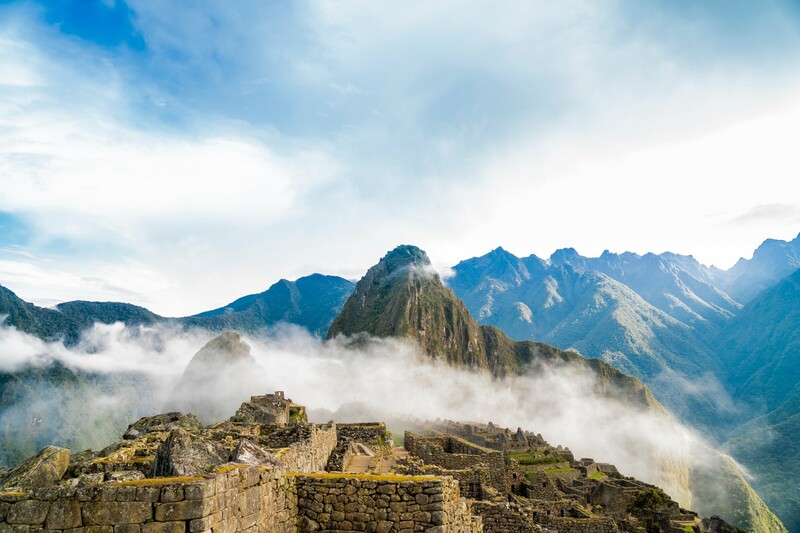 As of 2018, there are 1092 UNESCO World Heritage Sites in the world. Why not make it your goal to visit as many as you can before you turn 30? 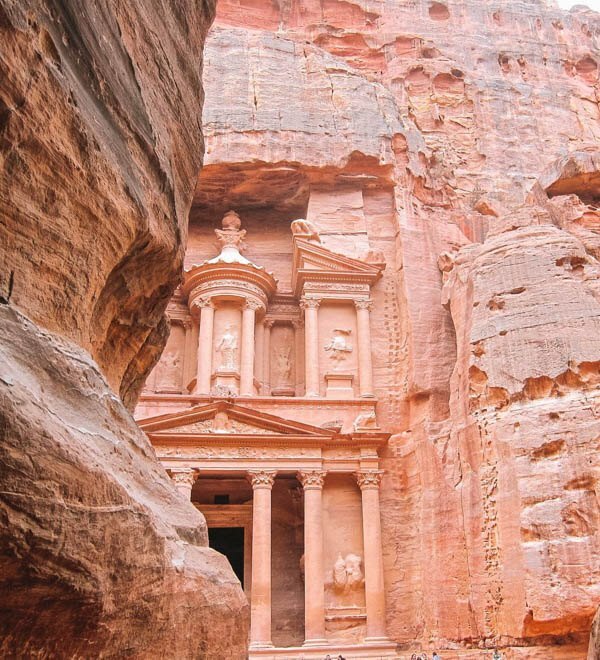 The UNESCO sites represent some of the world’s greatest treasures. 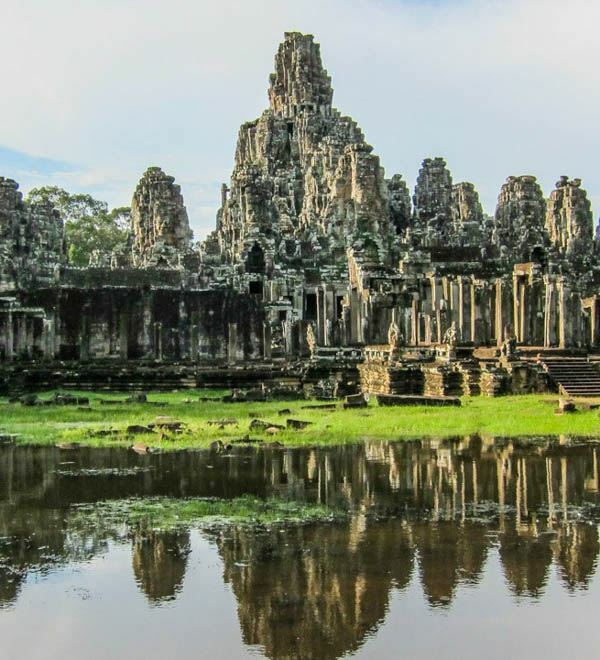 From Cambodia’s ancient Angkor Wat to the Rose City of Petra and the Sydney Opera House, there are gems to discover in every single country around the world. One of the most challenging, but rewarding things I’ve ever done is the Inca Trail. It took me four days to finally reach Machu Picchu, and the sore muscles were worth it! Before you set on your first multi-day trek, make sure you’re prepared. You’ll need to train for it (even if it’s hiking smaller one-day trails) and have good quality gear to make the experience as comfortable as possible. Every continent offers completely different cultures and experiences. While getting to some might be difficult (like Antartica), visiting every continent is top on my bucket list. While I’ve visited over sixty countries around the world, I’m guilty of neglecting the United States. I’ve only traveled to a handful of states, and there’s a long list of National Parks I still need to cross off my list. Instead of visiting your usual haunts on the weekend, explore your city like a tourist! Or if you have the time, plan a road trip to a nearby state. Check out all of my USA travel guides here! After a few years of backpacking and staying in cheap hostels, I decided to upgrade to a night in a fancy hotel. I used my points from my travel credit card and splurged on a night of luxury at The Ritz-Carlton in Budapest. I was picked up from the airport by a private chauffeured limousine service, I had the entire Charmain suite to myself and a 24/7 dedicated butler. I love the idea of giving back to the local community when I travel. My first volunteering abroad trip was with the Global Water Brigades in Honduras. I was in my second semester at San Deigo State University (SDSU) and wanted a different type of spring break vacation. Since then, I’ve volunteered in countries like Cambodia, Bolivia, Peru, and Panama! I went on my first ever cruise with my mom for 15 days over Christmas and New Years. We boarded Crystal Cruises in San Juan, Puerto Rico and cruised to Rio, Brazil. I loved the experience so much that I signed up for other cruises in The Galapagos, Seychelles and a Christmas Market River Cruise in Europe! Need an excuse to hit the road? Travel to another country and attend a major event. Over the years, I’ve attended the Rugby World Cup in New Zealand and volunteered at The Paralympic Games in London. Besides jumping out of planes, I like to test the boundaries of my comfort zone by trying weird and strange foods in countries around the world. I’ve nibbled on rotten shark in Iceland, roujiamo (marinated beef or lamb in a wheat bun) and yangrou paomo (pita bread soaked in lamb soup) in China and I ate my weight in Pho (a traditional broth) in Vietnam. Once you’ve tried all the unusual local delicacies, spoil yourself with a fine dining experience in another country. While living in South Africa, I’ve had the chance to eat out at one of the top restaurants in the country, Test Kitchen. It’s usually booked out up to three months in advance, but the food was worth the wait! If you’re a foodie like me, spend some time researching a country’s dining scene. Whether it’s a Michelin-rated restaurant or luxury wine tasting—choose something that’s going to make your time there an unforgettable experience! Always learn a little bit of the local language when you travel! Not only will it make getting around easier, but you’ll learn a new skill. If you want to take it up a level, travel to a destination like France or Italy for a month or an entire semester and immerse yourself in the local language. My boyfriend, Meyer, spent four years living in Italy as a professional rugby player. As a result, he speaks fluent Italian! When I started traveling six years ago, I knew nothing about photography. All I had was my iPhone and a pretty basic point and shoot camera. Over the years, I’ve spent hours learning photography and editing. I’ve upgraded to the Fujifilm X Series, and I’ve even released my own collection of Lightroom presets! If you’re serious about improving your photography skills – sign up for a class on Skillshare, go on a photography tour in South Africa and shoot as much as possible! All your hard work and effort will be worth it when you come back with vacation shots. Check out all of my travel photography guides here! Since moving to Cape Town, my life has changed so much! I started my TBA Escapes Tours, met my boyfriend Meyer and explored so much of South Africa. If you have the opportunity, I highly recommend living in a new country! Whether it’s for a couple of months or indefinitely, it’s an experience that will shape your life for the better. 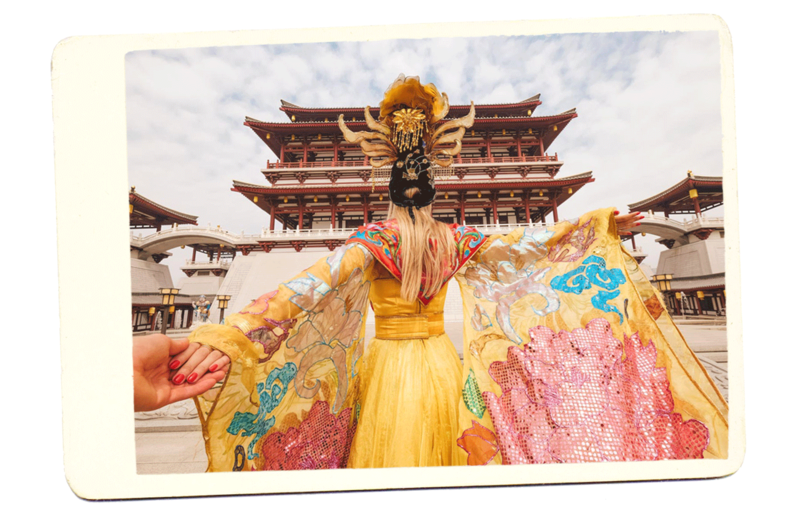 You’ll get to immerse yourself into another culture, make new friends and travel deeper. Are you dreaming of sandy white beaches and sparkling blue water? Then make it your goal to travel to a tropical paradise before you turn 30! Venture out somewhere remote, like Mozambique, French Polynesia, The Seychelles, or Mauritius. You’ll escape the crowds and have miles of pristine beaches all to yourself. Instead of staying in another hotel for your next vacation, hop onto Airbnb and stay somewhere unique! You can spend the night in Airstream trailers, yurts, tree houses—you name it! You don’t need to be a whiz on the slopes to go on a skiing vacation! There’s nothing wrong with taking lessons and learning a new skill while you soak up the winter wonderland atmosphere! I traveled for five years before I truly splurged on my “dream” trip. It’s what inspired me to start TBA Escapes to give other female travelers the same amazing experience I had! While I still have to save up for big trips, I always make a plan to fit them into my life goals. What trips are on your travel bucket list? Let me know in the comments below!